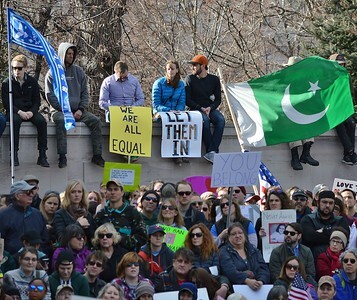 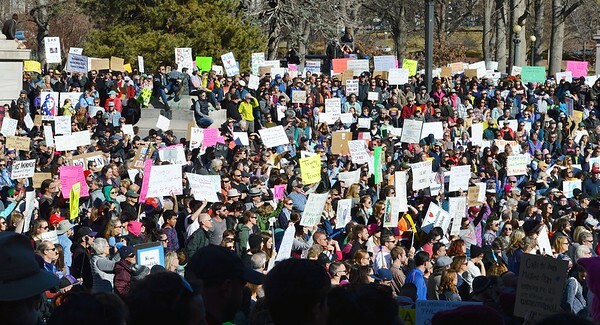 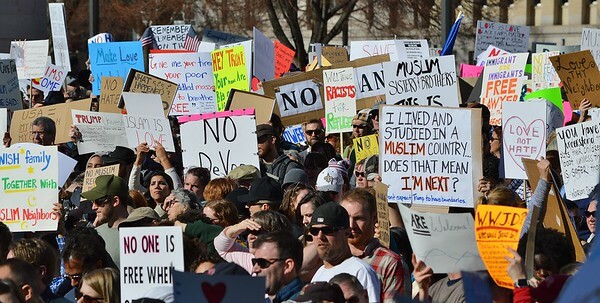 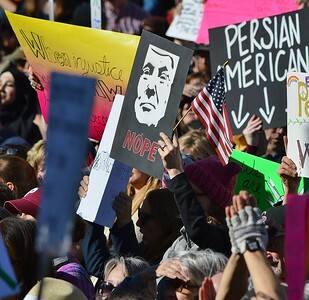 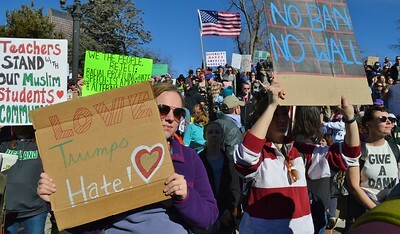 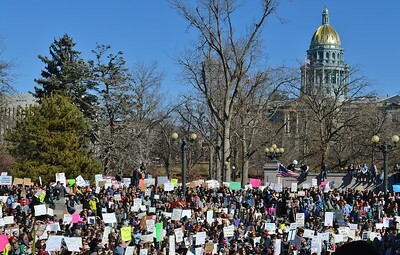 Thousands of people rallied in Denver, Co to protest against President Trump's executive order banning refugees and immigrants from some countries with a Muslim majority population. 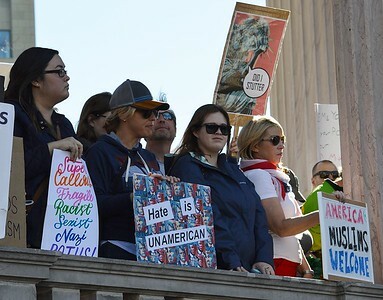 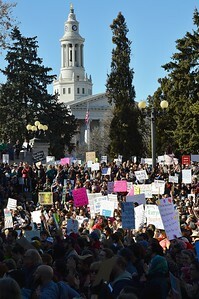 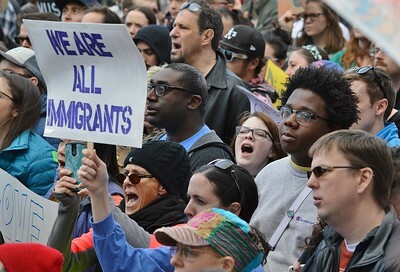 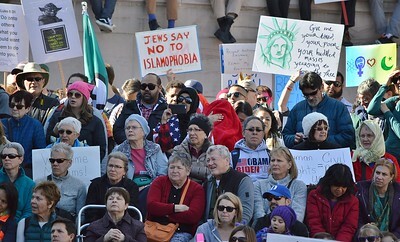 Part of the crowd of thousands of protesters who rallied to oppose President Trumps ban on immigrants and refugees from Muslim majority countries. 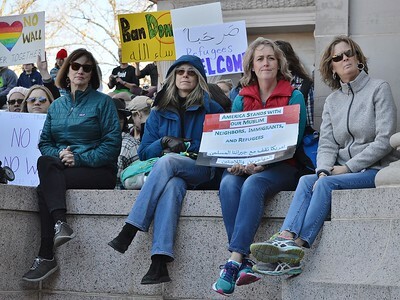 Part of the crowd of protesters who rallied to oppose President Trumps ban on immigrants and refugees from Muslim majority countries. 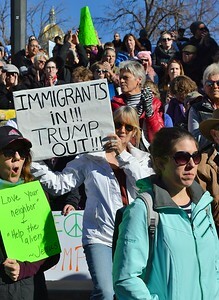 Opponents of President Trump's executive order on refugees and immigration listen to speaker at a rally in Denver, Co. 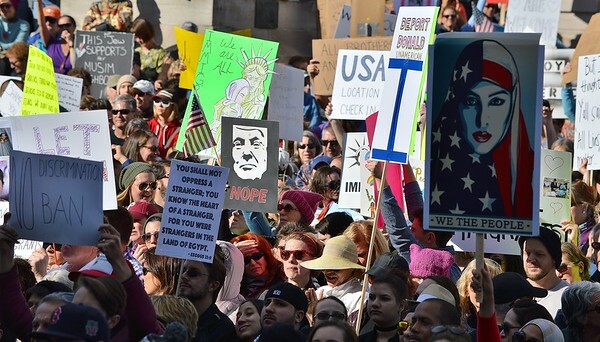 Protesters raises American flag and anti-Trump sign at rally against immigration and refugee ban. 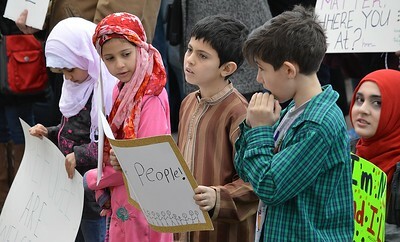 These Muslim children were among thousands of protesters at rally against President Trump's executive order on refugees and immigration. 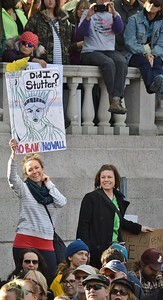 Young woman raises Statue of Liberty sign in the air at rally against President Trump's executive order on refugees and immigration. 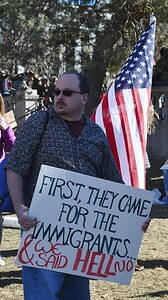 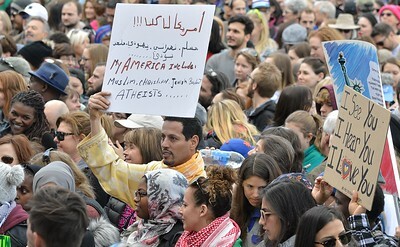 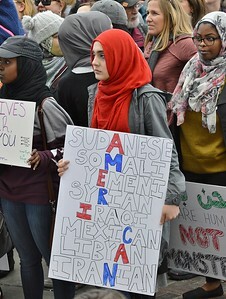 Young Muslim woman holding sign while listening to a speaker at rally in Denver, Co against President Trumps executive order on refugees and immigration. 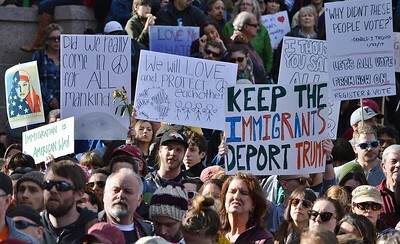 Young man raises sign in Arabic and English at rally against President Trumps executive order on refugees and immigration. 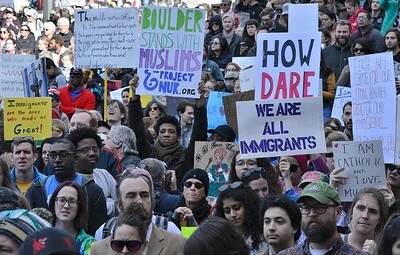 One of thousands of protesters who rallied against President Trumps ban on immigrants and refugees from Muslim countries. 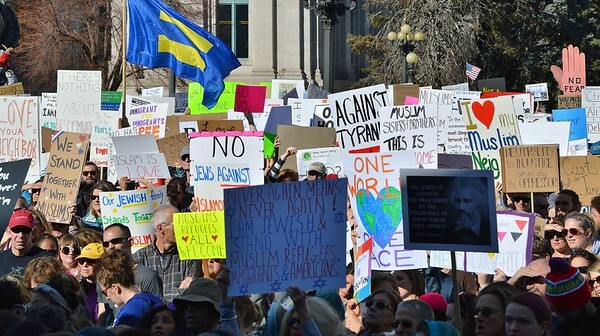 Opponents of President Trumps immigration and refugee ban at protest in Denver.,Co. 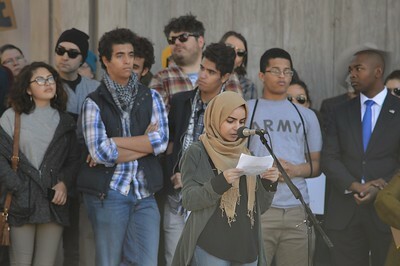 Opponents of President Trumps immigration and refugee ban at protest in Denver, Co.
Young Muslim woman speaking at rally opposing President Trumps refugee and immigration ban. 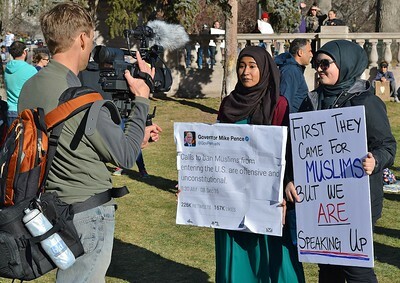 Two young Muslim women at protest against President Trump's executive order on refugees and immigration, being interviewed by the news media. 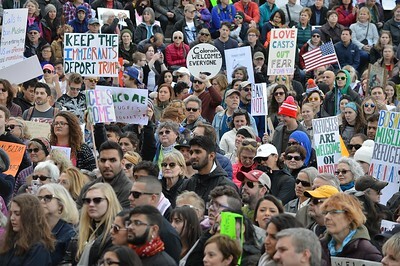 Opponents of President Trumps immigration and refugee ban at protest in Denver,Co.